XPENG Motors will self-develop the software for China's typical traffic conditions and user scenarios and will work with Desay SV to jointly develop the computing hardware platform for autonomous driving. The company plans to implement in various phases the L3 intelligent driving features in its new models starting in 2020. Xavier is the latest AI supercomputing system-on-chip (SoC) released by NVIDIA in early 2018. It is the world's first autonomous driving processor and the most complex system-on-chip (SoC) ever created. "Our mission is to lead the innovation of intelligent vehicles and make them widely available for Chinese consumers. 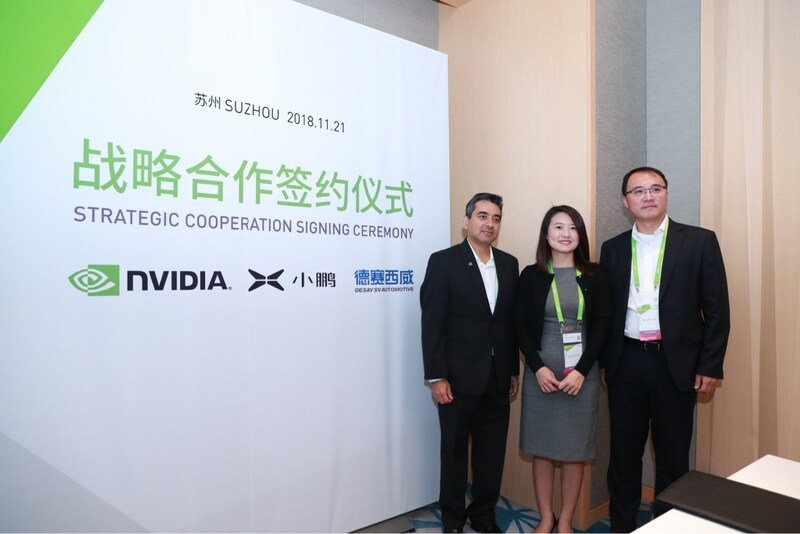 We are very excited about working with the world's leading players in this field and are confident that this partnership will accelerate our technology advancement," said Dr. Gu Junli, Vice President of Autonomous Driving at XPENG Motors. "Independent research capability is one of our core competences. Understanding China's specific user scenarios is critical in developing smart driving solutions for Chinese consumers, and we strive to provide them with the best driving experience," she added.